Chag: I’ve been banging my head against the commenting system this last week. After much deliberation between the status quo, switching to self-hosted wordpress, and switching commenting services. I decided to switch to Disqus. Hopefully this solves the problem of comment length limitations that’s been plaguing the site. These guys seem to have a strong customer service and stronger conviction in addressing complaints than the IntenseDebate team. This week sure has been full of unexpected things for me. I didn’t expect the announcement of a Bear Acguy, I didn’t expect to see a Kotobukiya Mayoi pop up out of nowhere, and I certainly didn’t expect the Figma Saber Alter to arrive in a mere 10 days via SAL from Amiami. Of course, this means that I didn’t expect to write back-to-back Figma Saber reviews either, but perhaps the most unexpected thing this week was the fact that I like the Figma Saber Alter – really like it, in fact! If you’ve read my Figma Saber (Armor Ver.) review last week, you’re probably wondering why in the world I bought this figure in the first place after my big stink against it. The reason is simple: I love Saber Alter – possibly more so than her uncorrupted counterpart. Her chilling aura, reserved attitude and unrestrained ferocity rest on a fine balance against the sense of duty and adorable traits of the original. 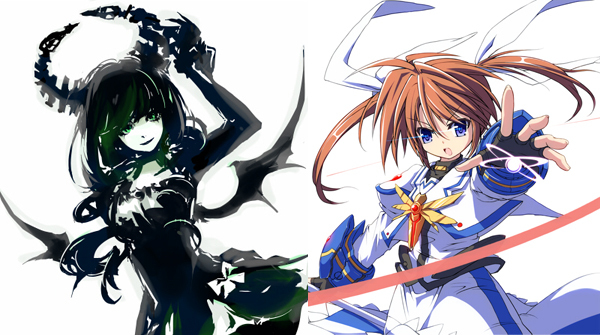 Besides, I’ve always had a soft spot for antagonists because they often serve as foil to the protagonists. This often is a very good thing, since many anime protagonists are full of antiheroic characteristics, are young, and/or have a Jesus complex. By contrast, a good antagonist can be mature, in possession of admirable traits (charisma, leadership, experience/skill, etc), while at the same time avoiding the pitfall of being preachy or cheesy. Just look at Mobile Suit Gundam, for example: sure, Amuro Ray is the protagonist, but given the choice of having to spend a night in the bedroom of Amuro and Char, who would you pick? 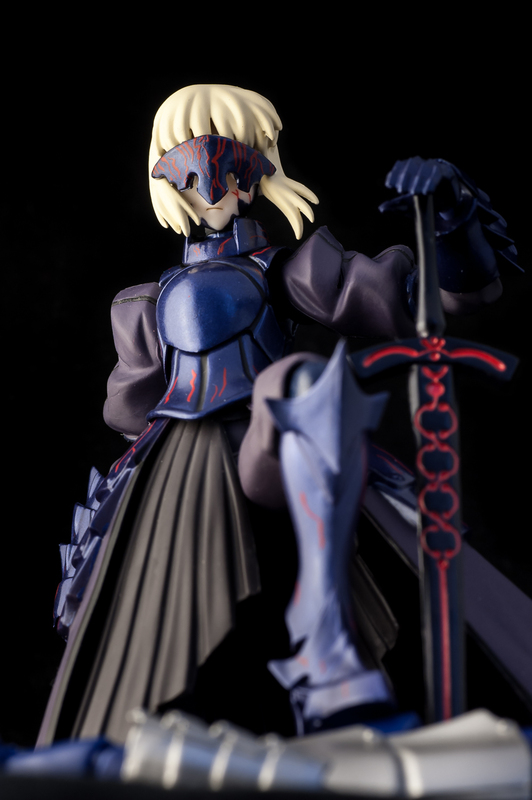 Of course, there’s a number of Saber Alter figures out there, the most appealing of which (for me, at least) is the upcoming 1/7th scale GSC figure. But as for me, I don’t think there’s any character out there I love enough to buy two ~9,800 yen figures of (Miku was pushing it and only got away with two figures from me due to the fancy wall-hanging gimmick of the “World is Mine” version). So, for a Saber Alter fan like me who already invested a handful in the GSC Saber Lily figure, the only choices were to either pawn off Lily and replace her with the upcoming Alter, or just settle with a Figma Saber Alter. I considered both options, but decided against giving Lily the axe, partly due to the hassle of selling and partly due to my preference for her silly but visually pleasing outfit (even though it has no place in the canon). So, a few fits of hesitation later, Saber Alter arrived speedily to my doorstep and I’m happy to say that Max Factory has learned many lessons from the original Saber and applied them here. Chag: Well, I hope you’re in a patient mood this week, because Ash and I kind of went nuts with this week’s rant. There will be hate, there will be drama, there will be bricks upon bricks of text, and there may even be a little blood – it all begins after the jump! In order to avoid a third consecutive gunpla review on this self-proclaimed multi-focus review blog, allow me take you back in time – back to the year 2008, when the Figma line was still in its stages of infancy. Though the has only begun, it had already secured licenses for a number of popular characters, one of them being none other than Saber from Fate/Stay Night, who is quite possibly the most merchandised character behind the Evangelion girls. Of course, being the Saber fanboy I am, I could only hold back my temptation for so long before caving in. I was working an overnight summer job at the time, so during my hours of rest at home my ears were constantly on the alert for footsteps outside in hope for a mailman with my precious package. As the days passed, my anticipation grew to feverish heights. I’m sure I’ve spooked more than one neighbour with my crazed eyes as I peered outside of my window at the slightest footstep outside. Even when my body could no longer stand vigilant, the desire for that destined set of footsteps rampaged in my new collector’s mind, to a point where I would dream about receiving the package. …In the end, I never got those footsteps that I craved for – only a delivery note instructing me pick up the package at the local post office. But perhaps more tragically, when I tore my Figma Saber out of her clear plastic prison, I found out the hard way that my self-inflated anticipation has betrayed me. 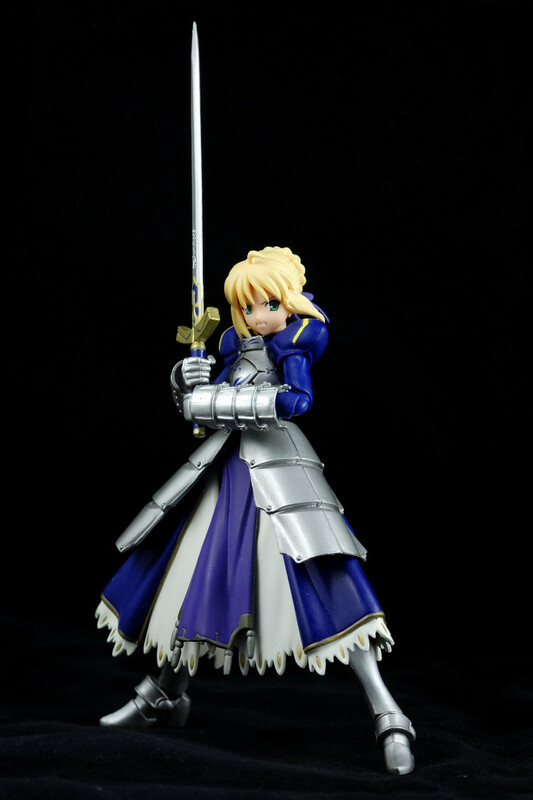 While the Figma Saber (Armor Ver.) is not without merit, it suffers from too many serious flaws to warrant a recommendation.